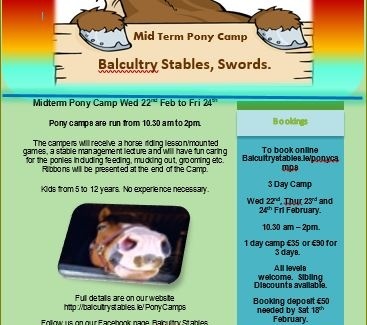 Mid Term Pony Camp 3 Day Camp Wed 22nd, Thur 23rd and 24th Fri February. 10.30 am – 2pm. 1 day camp €35 or €90 for 3 days. All levels welcome. Sibling Discounts available. 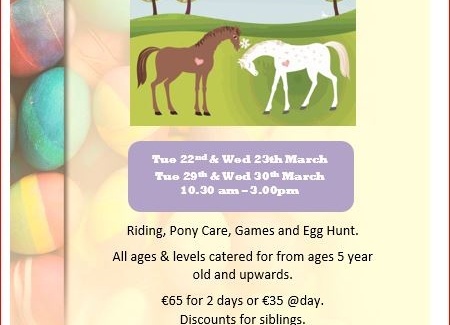 Booking deposit €50 needed by Sat 18th February.